No one has the legal right to destroy public land or create a public heath risk by leaving hypodermic needles and drugs in the open. No one has the right to take over public spaces like sidewalks and parks. People do not have the right to destroy wetlands or pollute the environment with dangerous propane tanks strewn about. No one has the right to trespass on private property, leaving property owners with thousands of dollars in damages. If we truly care about our fellow men and women then we must not allow this to continue. It is not an act of compassion to allow people to destroy their lives or harm the people around them. 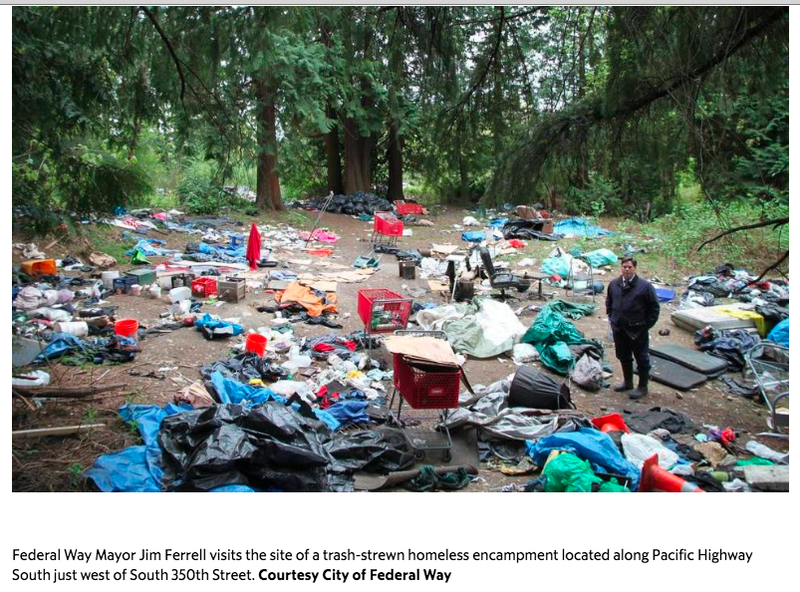 Jim Ferrell is the mayor of Federal Way.